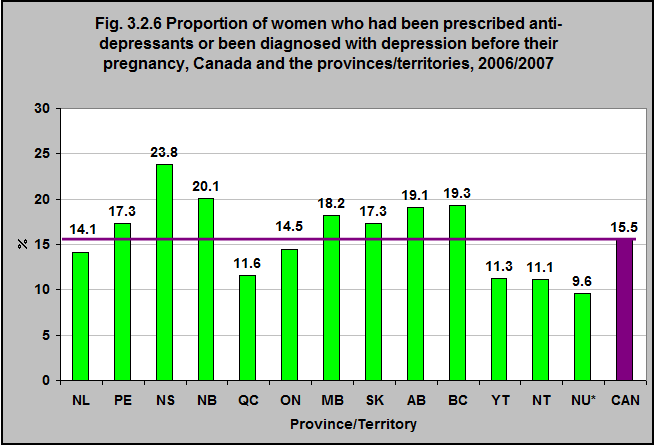 According to the Maternity Experiences Survey (MES**), in 2006/07 almost 16% of women had been prescribed antidepressants or had been diagnosed with depression prior to their pregnancy. That rate varied among the provinces/territories – in Nova Scotia it was 24% and in New Brunswick 20%. The Territories and Québec had the lowest rates.